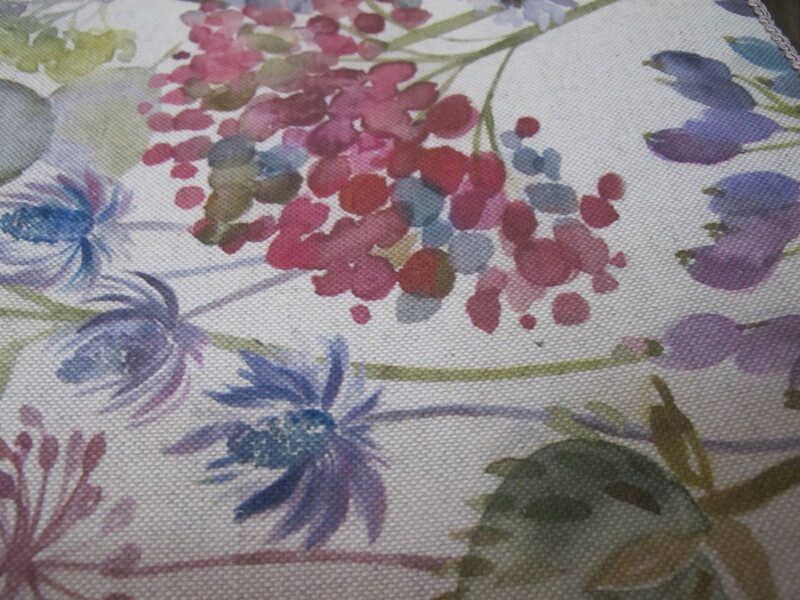 This is a gorgeous linen/cotton mix fabric from Voyage. 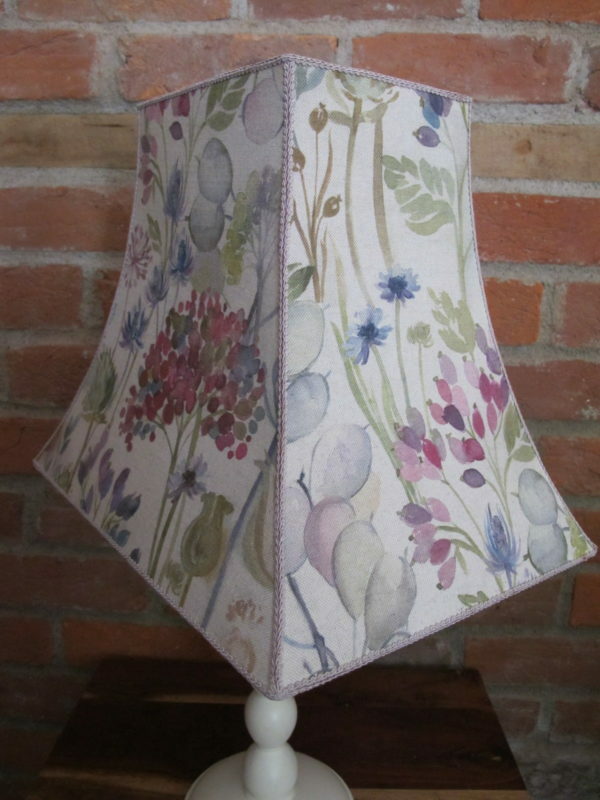 Hedgerow flowers including hydrangeas and poppy heads in pink, purple, blue and green on a natural background all inspired by the British countryside. 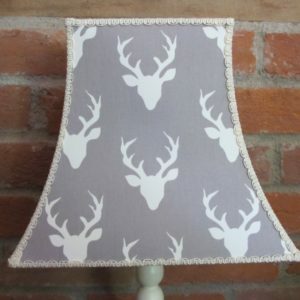 Due to the fabric containing linen, you will lose some of the pattern effect when the light is turned on. 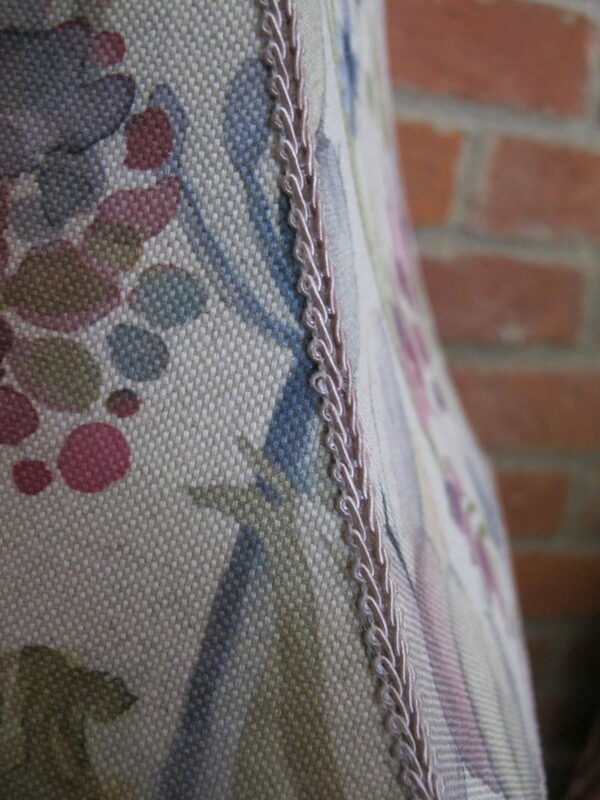 Trimmed with a beige braid. 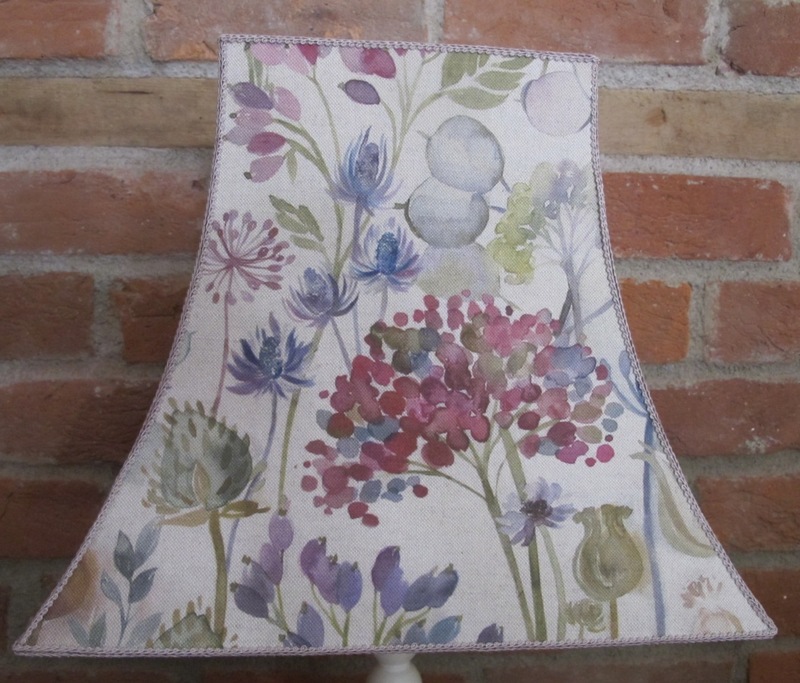 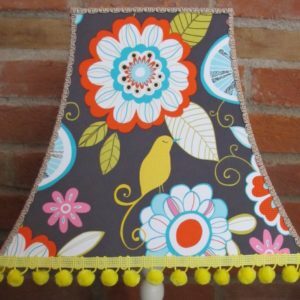 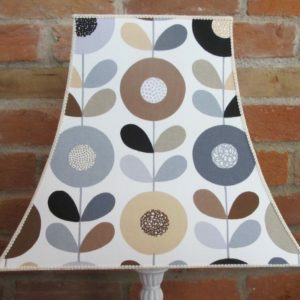 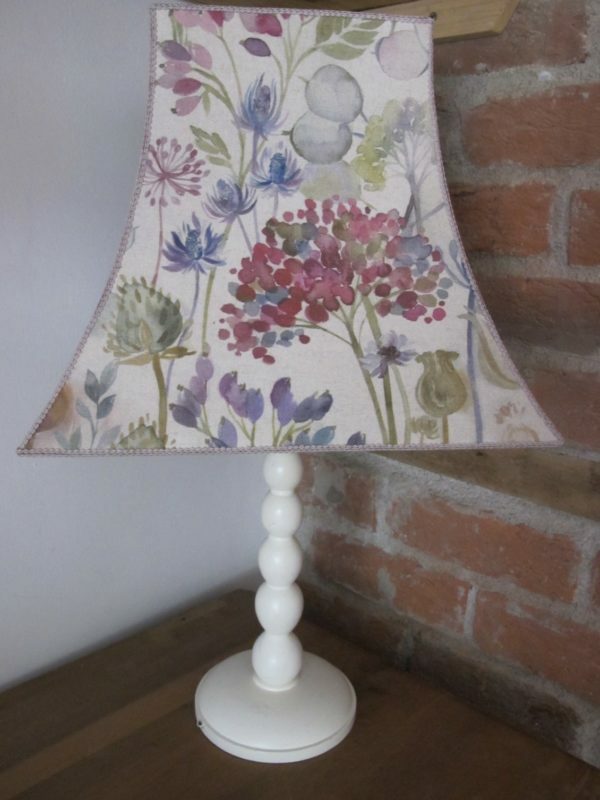 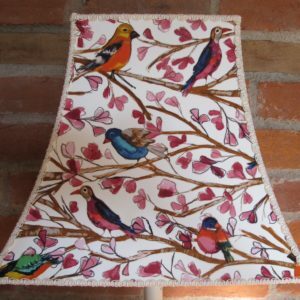 As my lampshades are made to order, your lampshade will be slightly different due to to the cut of the material, but I will match it as close as possible.